The most recent disappointed from my Galaxy Note, one of my costliest acquisition of late, of the Self, for the Self and by the Self, a rarity in a married man's life, as it lost voice last week, with some speaker issue last week. With my newly acquired, zazzy girlfriend refusing to speak to me, came to rescue my trusted HTC Hero for the couple of days as my Note went for warranty repair. It was smooth, much better than Nokia and came back its chirpy self, in stipulated time. But with it went off the Wifi setting, and as time would permit, or would not permit I could not restore the Wifi setting for good one week. Work could progress unhindered, however, thanks to the 3G on the phone and Santa Clauseque message notifying reduction in 3G sharges by 75 percent, a combative response from Airtel to MTNL. 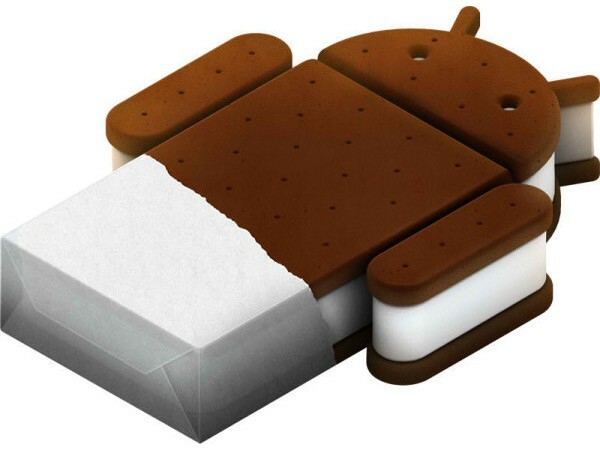 Finally, today on Saturday got connected to Wifi and got a message from Samsung regarding update available, thought it to be ICS 4.0, Ice Cream Sandwich, the only Ice cream which my weight can sustain, without guilt. But No, it was some update of 39 MB, ICS 4.0 was supposed to be 319 MB. Anyways, did download the 39 MB one and went in for installation. At this time it did tell me that the installation required ICS to be deployed. And so another download went forth, I did download the major 319 MB one, as I stare at the cute looking android on the black background which tries to get installed. The phone restarts and an Android with Autobot from The Transformer greets. The phone is trying restart, and tells me that it is re-inventing its souls with Android upgrade bringing optimisation to 58 applications (much better than Windows installation in old days when we used to touch the CPU to feel pulse when installing). The phone is up, unlock screen is unchanged with same pattern for unlock as before, and a message greets-Device Successfully updated, lemme see what is inside. I remember the pungent smell of new school books post summer holidays in those times when session would begin only post summers. Reader's Hub carries some more entries. News powered by PressDisplay, but no NewsPapers, looks like it needs subscription, just hope Pulse would work on the new platform. Next is Books by Kobo, requiring Signing on and last is Magazines by Zinio, plenty of books but all subscription based. Next is a new application S Note. Has handwriting to text support, will have to see if this can replace my recent admiration for EverNote, I have been using often for taking notes during meetings. It has some templates- Fashion Notes, Business Note, Economics Note, Diary and Geology Note. Business template comes with a whle lot of tools on the toolbar, Pen same as earlier one, Productivity tool as new introduction with formula match for directly catching up to mathematical symbols, Shape match, for correcting lousily drawn geomatrical shapes to correct form,, Handwriting to text, works well, though seems to find difficulting in catching colloquial or local names. Apart from Notebook templates as mentioned above, it also has note template like Diary, idea, magazine meeting and Travel, which looks good. Meeting note can be taken up with handwriting and converted to PDF from withing and shared by mail, it must be good application once gets into habit for sales people in complex discussions and negotiations and working in large teams. Still exploring, but still feels an achievement, to get a new OS without having to pay for it. Having used one week, some updates: Battery life, contrary to the blogs I had read on this, seems to have improved. Also wonderful is the contact list, with inherent option of joining multiple contact details like the one taken in from the Social Networking sites and phone numbers etc. manually inserted.